Wealth Planning: How Do I Create a Clear Plan for My Future? 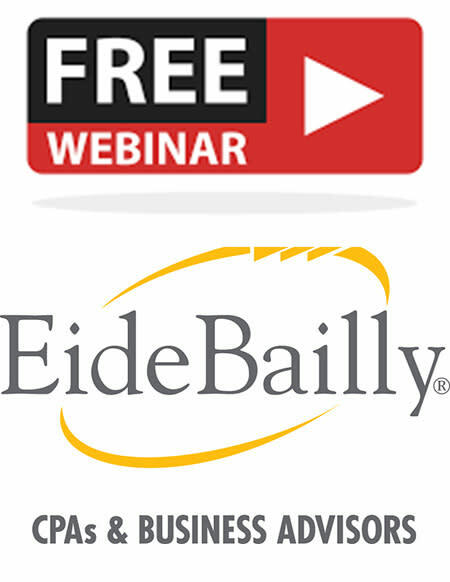 Free Webinar Hosted by Eide Bailly. To get to where you are today, you had a plan; to get to where you want to be tomorrow, you need a new one. Looking forward to retirement can involve making many complex choices, so it’s important to identify your goals and objectives to help prioritize what’s most important to you. Join us for one or all of our Innovative Business Strategies for the Construction Industry webinars, designed to provide information on strategies that can help save you money, increase cash flow and comply with state and federal tax law.